You know when you’re a kid and you have very fixed ideas about what type of music you like, and it doesn’t include a broad range of styles? And then you grow up and realise there are myriad sounds and genres you appreciate, depending on your mood or the occasion. You’ve learned to expand your musical tastes, and in doing so have opened the door to relating to an eclectic mix of people whom you would previously have overlooked. Well, online it often still feels as if you’re back in school again. Without saying it outright, you get the vibe on social media that people want you to declare your affiliations for things… From religion to politics, education, feminism, culture. There’s nothing inherently backward or sinister about this; we all like to find out what we have in common with those we meet online. We all feel emotionally bolstered when others agree with us. That’s not to say that I shy away from disagreements, rather that I like to keep it simple and civil. Proving a point or persuading a crowd is not the prime purpose of my online presence. In fact I can think of nothing worse than feeling compelled to constantly justify myself or contradict others on a daily basis. And maybe that’s why I struggle to fit in at times. I see elements I like among both left & right wing supporters, among both feminists & complementarians. I warm to both working mothers and homeschooling families, and a plethora of other socio-economic groups in between. I was brought up to mingle with all types and classes of people – something for which I am forever grateful. I find it tricky to commit wholeheartedly to anything other than my faith. That is the one non negotiable, yet even then there are disparate views among Christians. I obviously hold my own strong convictions in this regard. But just because I disagree with you doesn’t mean we can’t get along. Wouldn’t it be so boring if we only engaged with a bunch of people whose thought processes were identikit versions of ours? Undoubtedly, I value elements or aspects of a variety of organisations and ideologies. 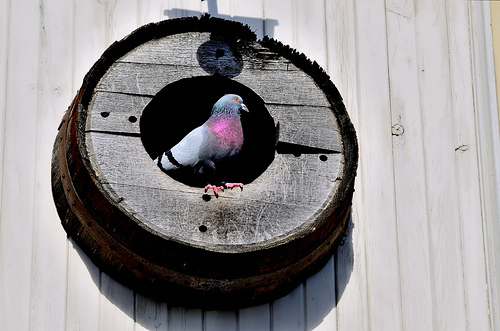 I just don’t see why I should be pigeonholed, or squeezed into a certain mould. And, who knows, I might actually learn something, change my mind about something or see things in a different light. I’m open to ideas and thoughts and solutions. I’m open minded – yes, and a Christian! The two are not mutually exclusive. Maybe we could simply agree to disagree sometimes? Oh, and I won’t unfollow you for being totally different to me. I love variety, and what better variety can one find than in the human species? This entry was posted in Life, Opinion and tagged pigeonhole, social groups, social media, stereotype, Twitter, variety. Well said! The amazing thing about the online world is that you get to see so many different things from the perspective of others… I don’t agree with everything I read, but I like to explore other people’s views and ideas. Yes, it’s great to be able to interact with such diverse groups of people, isn’t it?